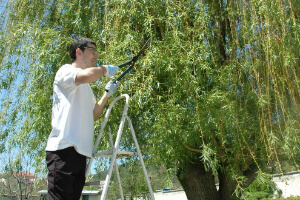 Gardeners and Tree Surgery Ilford IG | Quality Property Care Ltd.
For a fair price you can get extensive garden maintenance and care on the regular, with no deposits or any strings attached. Get in touch with us at 020 3746 4287 and demand our professional gardeners in Ilford IG, we work efficiently with all of the finest tools offered by us. Quality Property Care Ltd. top graded gardening company in Ilford IG sticks to the motto of personal approach + specific attention to specifics as the best formula for good results. Apart from ordinary lawn care, leaves clearance and cutting, the skilful gardeners also pay attention at speedy weeding, ivy removal, grass cutting for a more eye-catching look of the garden, strick back and schrub, as well as cautious jet washing, edging, rotavating and levelling. As a consequence of such an advanced approach for reasonable and top-to-bottom garden maintenance, you will have an outer walls to appreciate with no efforts! In addition - our gardening services are reasonably priced and low-cost! And you can order the service at a regular basis or just every now and then. As part of the garden clearance services, up to 180l of green junk could be taken away free of charge. The other parts will be taken away upon request with a further fee. This will leave your garden wonderfully clean, arranged and with healthier plant life. So, regardless of what assistance or guidance you need in regard to your garden, patio, lawn, do not forget to reserve the services of the professional gardening company Quality Property Care Ltd. right now! 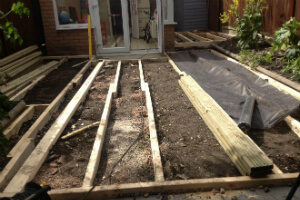 Suitable for landlords, tenants, home owners, residential building owners and property managers, our professional gardening services in Ilford IG comes along with a special love to your garden. We have the right formula for even the most deserted yards. The gifted gardeners from Quality Property Care Ltd. are instructed to perform adequate lawn mowing and also lawn care: fertilizing, reseeding patches, watering, trimming. The service is just as suitable for fall lawn care and spring lawn care. Lawn feeding and lawn aerating are always included in the service. To be able to book a gardening service, or a combination of gardening services, simply call 020 3746 4287 or send out an online booking request. The client care service is really useful, and more importantly is accessible, so you will obtain a written affirmation almost instantly via SMS and email. No downpayment is necessary for booking. You will talk about the actual tasks and the time they will take with the gardeners who will turn up at the spot with all important instruments and materials. Making an appointment is available for week-ends and national holidays too, with no additional charge, so book now, and be sure to have the nicest garden in your local community.